Forum Index > Historical Arms Talk > German falchion? 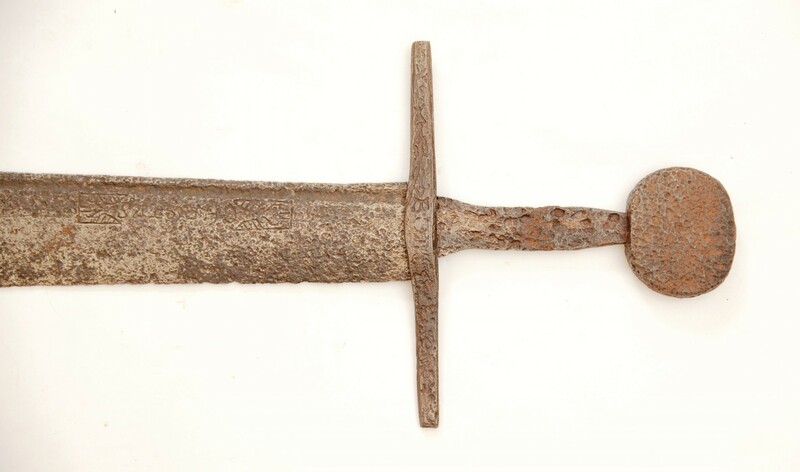 Posted: Thu 16 Jun, 2016 10:27 am Post subject: German falchion? Unfortunately the information is very scarce, it is claimed to be of german origin and dated from the end of 15th century. It seems to have inscriptions on blade and crossguard. Did someone see it before? What do you guys think? I've not seen that one before, thankyou. If you dont mind, do you have a link to the website you found it, so I can start the long job of tracing it back through the website, to wherever it was found/wherever it is kept, for my research work? What I will say is, I'm very sceptical its 15th C in date. Taking it at face value, I would say its mid-14th, assuming its original. Actually it's a commercial website (and this seems to be for sale right now), I don't know if it is allowed to put a link here. But I'll give you the url by pm. If you click on the photo links it takes you to the dealer website- just delete everything in the search bar line after ".ru"
I do not believe that this is an original sword. I'm inclined to agree with Cornelis Tromp on the very real possibility that its faked - that cross is one of the "funny bits" I mentioned. But conversely, I'm not 100% convinced that it actually is an inscription on the cross. The photos, after all, are pretty abysmal, and tiny. If it is original, I very much doubt the 15th C. date its given - its an earlier style, in that regard, and closer to the mid-14th, I'd say. If it is an inlaid or engraved cross, that's a really big warning light against authenticity. 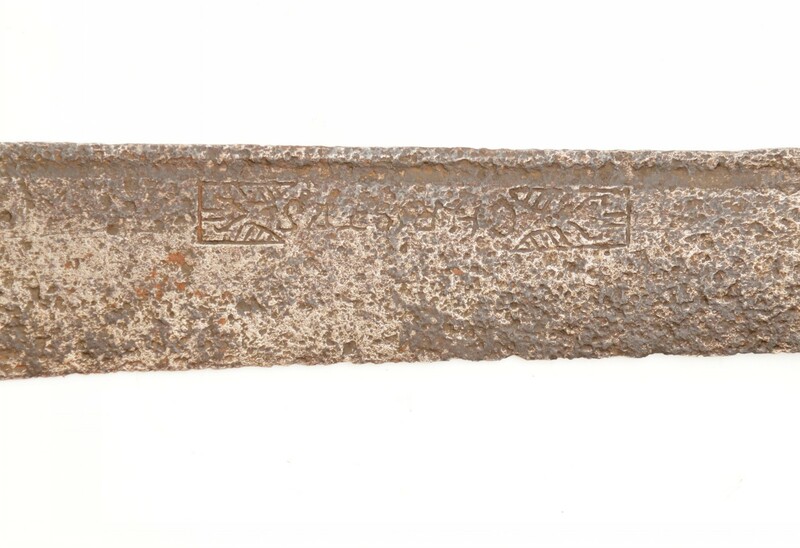 To be honest, the bigger flashing light there is the engraving that appears to be on the blade - that sort of square boxy panel looks rather out of place for its date - and I'd just like to thank Cornelis, because it was bugging me where I'd seen that shape before, and it is glasgow museums' A.1987.31 - and if it is from there, well, an engraving style that's mid-12th century, on a mid-14th century falchion type might as well say "made in 2000". Again, something I'm trying to get clearer reference pics of, in high-resolution. I'm not entirely struck by the pommel either. Its sort of an H1, but without any of the edge bevels I'd expect. Feels out of place. One detail I'd be cautious of. All in combination is a lot of problems. If I ever get more detail, I'll let people know here. Very interesting element! 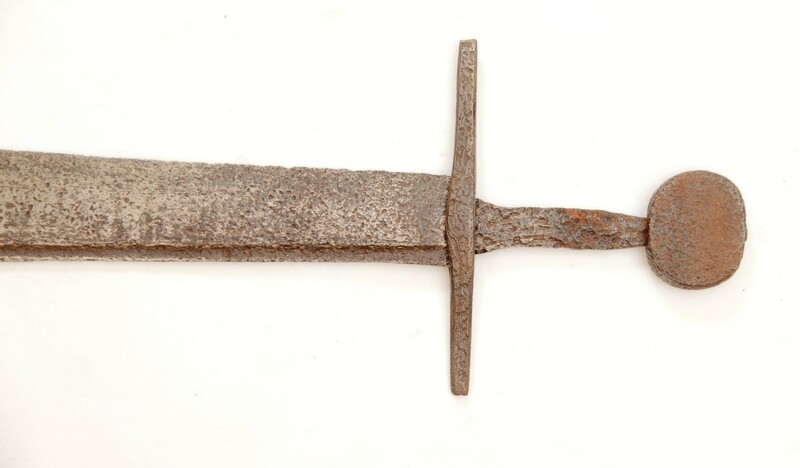 This engraving seemed weird to me, as I never saw something alike on a 14th century falchion or sword. Is there a picture of the Glasgow ROMS X.12 somewhere? 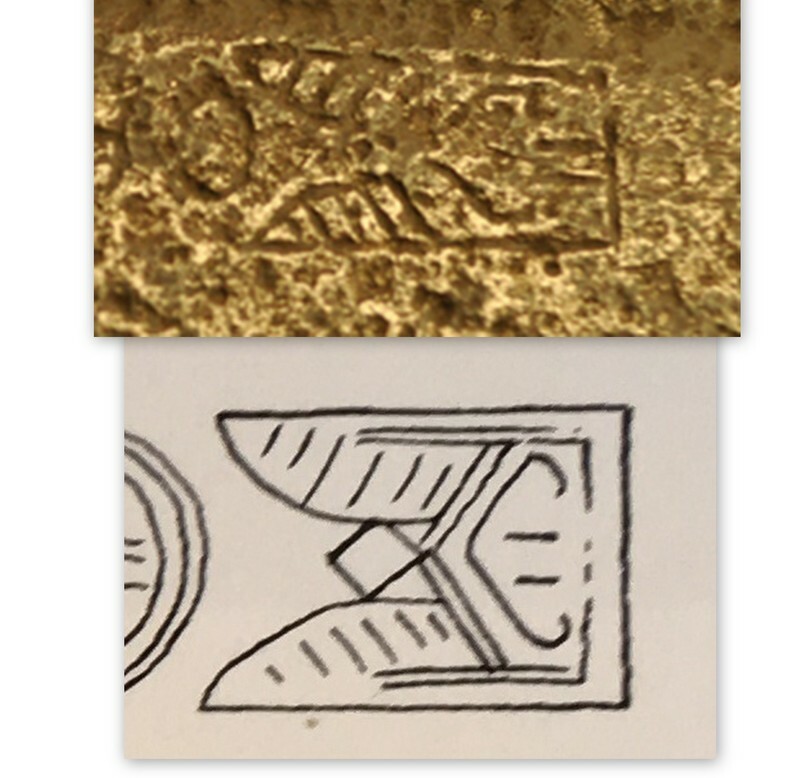 I'm not 100% convinced that it actually is an inscription on the cross. .
thanks, please see attached Collage.